Why did Al Abrams settle on Motown Black & White as the title for his music exhibit and private archive collection? Music is a motivator. Music moves the world. It creates Movements that have and will forever challenge and change our world. And, music is also the surround sound for our personal lives. We breathe music. We create play lists to coincide with personal life events. Motown: The Sound of Young America is the iconic slogan created by Al Abrams, Motown’s youthful Detroit press officer. It’s also a slogan used as a book title. This particular book never identifies the Motown slogan’s author and its backroom story. It is an interesting sidebar sidestepped. Abrams felt that Motown’s crossover sound needed to reach a target audience – teenagers. He conjured up the slogan so that Berry Gordy’s Motown music would provide a sense of solidarity for American teenagers to integrate their dance floors. Gordy recognized the slogan’s universal appeal. There is no simple solution in a world where segregation will always exist. Diversity is a complicated and never-ending circle where humanity is challenged. It is a life-cycle that stays in a state of play. Nothing of actual consequence is ever black or white. But, humanity is linked. 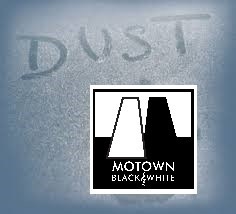 What is the color of dust? It is the color of one. It is the color of humanity. Dust is the inescapable global human equalizer. Humanity matriculates from birth; to duration; to a final stage. Death is a stage walked into alone. After death some of us will be remembered by one or none; some of us remembered by a multitude; others of us will be remembered by the world. However, when the dust settles, we become part of one world. There are those amongst us who will be celebrated with elaborate funerals, pomp and circumstance and media covered obituaries. A gold-laden casket or urn will engulf us. There are those amidst us who will have an ordinary funeral with a few family and friends gathered to remember us. Our lifeless bodies will be placed into sacred cemetery ground or a Mausoleum vault. But, many of us will be buried anonymously. We live within a global world where life altering circumstances changes our tombs. War, famine, disease, genocide, murder and catastrophic events claim us. Our human dust will settle into piles of rubble; makeshift landfills; ocean floors; killing fields or incinerators. We will forever share unmarked graves. What is the color of global human dust? It is not black or white.